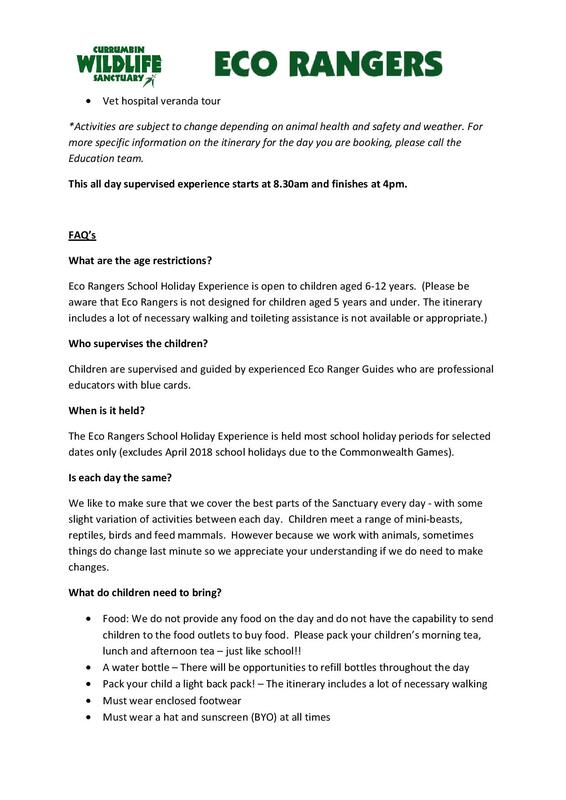 Get wild these school holidays at Currumbin Wildlife Sanctuary. 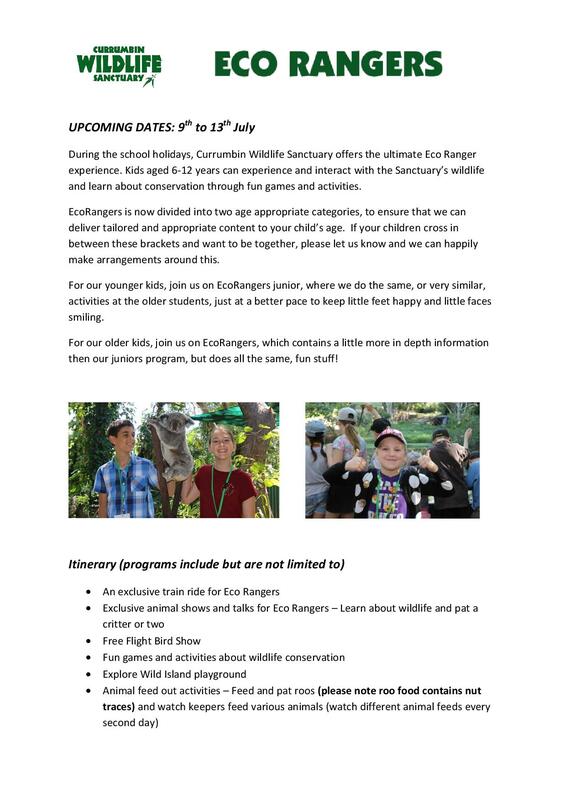 Our unique and interactive school holiday programs, EcoRangers and EcoRangers Junior, take children on an adventure, where they will get up close and personal with our animals, learn about habitats and conservation, and participate in animal themed activities to activate fun learning. 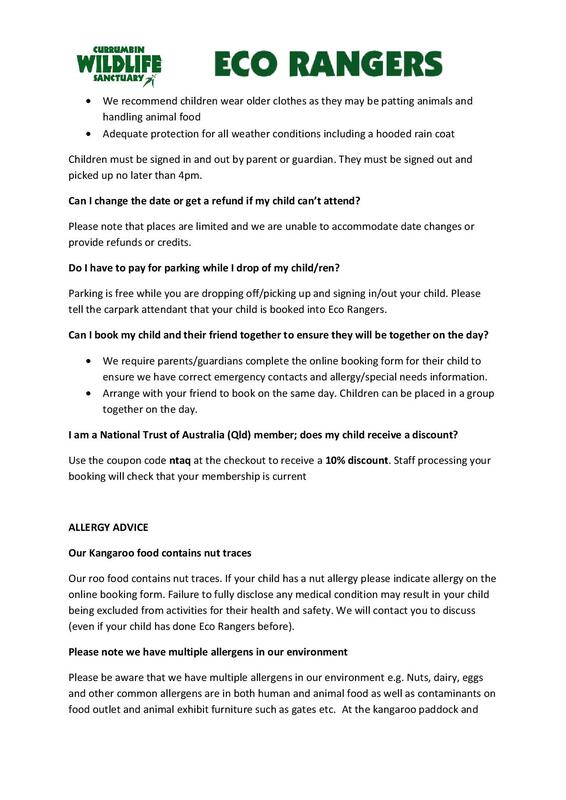 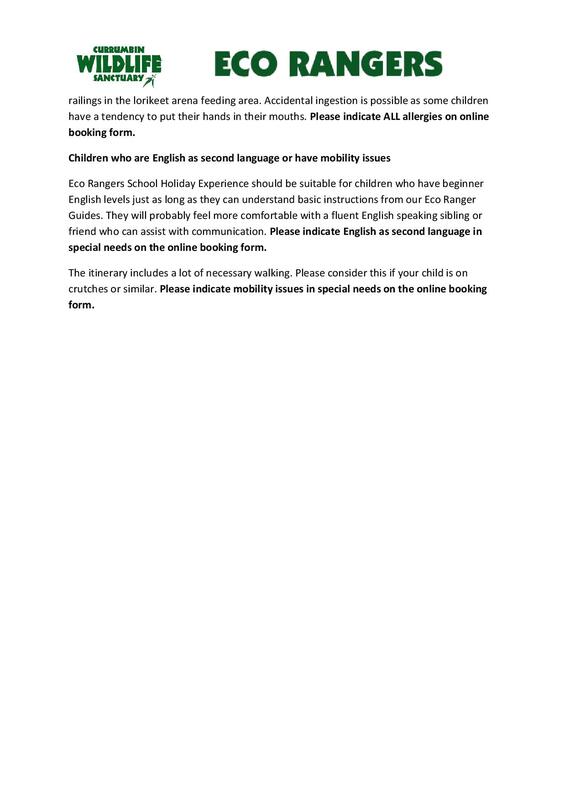 Please contact us if you have children who cross between these two age brackets and want to be together, as we are happy to make arrangements for this.